February | 2013 | Oh, hello thirty. One of my best friends is visiting me this week from Minnesota. She’s recently been diagnosed with a wheat allergy, so we’ve been exploring gluten free options in NYC. 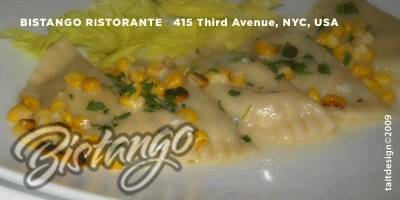 On the recommendation of a GF veteran we had dinner at Bistango in Midtown East on Tuesday night. I cannot say enough good things. We met and chatted with the owner who was incredibly friendly and helpful. He talked with my friend about her diagnosis, empathized and offered to be a resource if she has any questions in the future. Not surprisingly with such an attentive proprietor, the staff was upbeat and knowledgeable and the service was superb. But all of that paled in comparison to the food. The GF bread and pasta were so good that my friend thought she had been brought the wrong dish, she couldn’t believe something GF could be so amazing. In fact, she confessed later that she almost cried, it had been so long since she had truly enjoyed bread and pasta. If you are GF (or really, if you have any food allergy) and are in NYC, I highly recommend checking it out, you will not be disappointed. I really like Seychelles shoes. 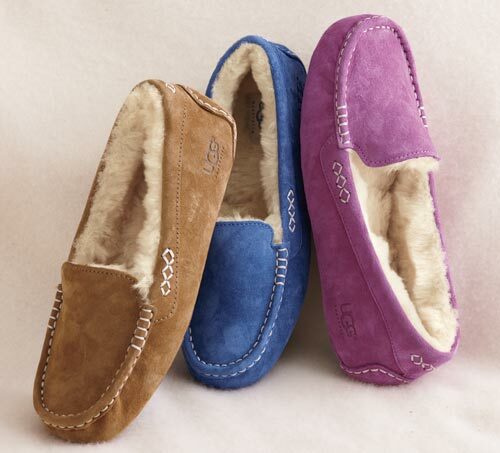 They’re a little bit vintage, often adorable and fairly comfortable. I’ve had a couple pairs of their heels over the years and they hold up well, too. All that, and this spring they’ve come out with what I think is the perfect pair of heeled sandals. I have at least four weddings to attend this spring/summer and I’m thinking if I choose wisely from the colors, I might get a pair that sees me through all of them. Yellow is also very pretty. Grey and Yellow — one of the very best color combos. And finally, an awesome vibrant teal. 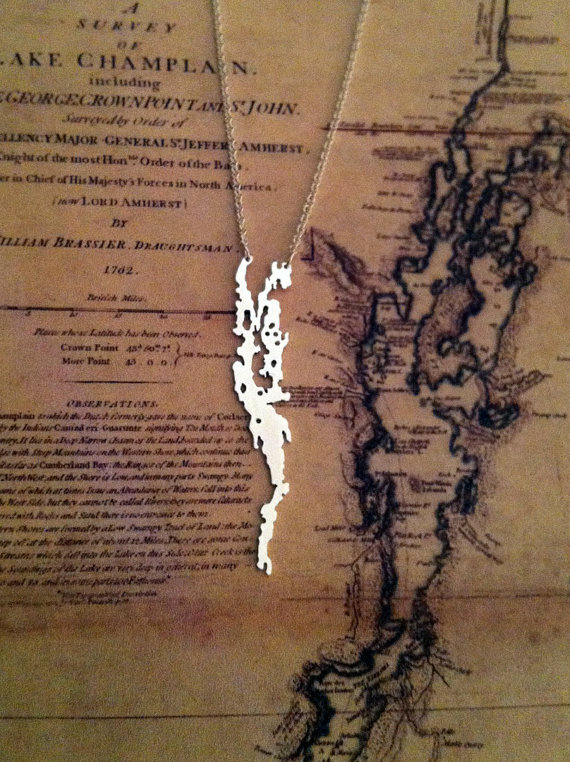 Triddles recently posted an awesome roundup of geographically themed jewelry. 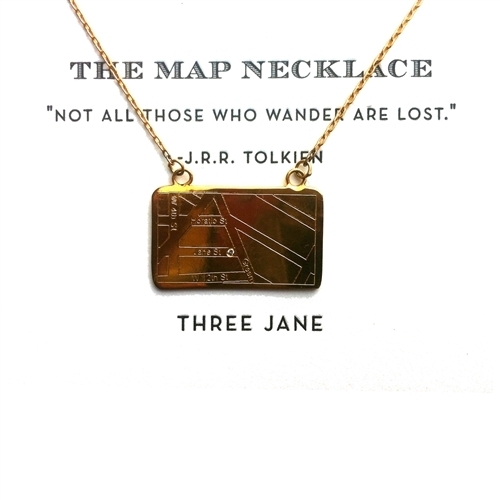 Like Triddles, I love accessories that represent important places. In fact, I think they make the perfect gifts. When Andrew and I were engaged and I was searching for a wedding present, I wanted something that was meaningful to both of us and timeless enough that Andrew would love it for years. 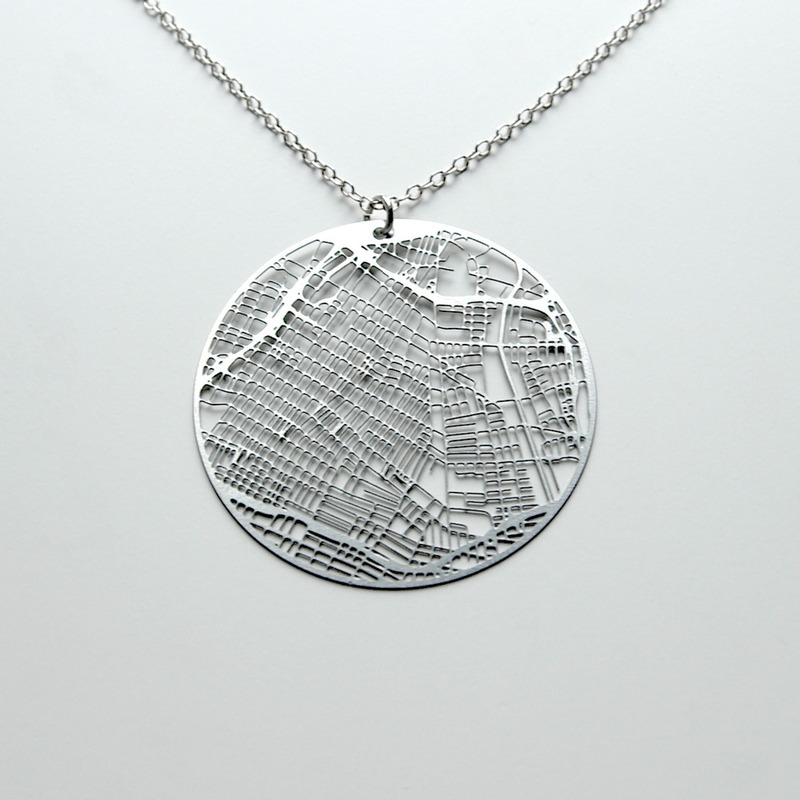 I ended up selecting New York City map cufflinks from Sherry Truitt Studios. Andrew and I met and fell in love in New York but were married in my home town, Des Moines, Iowa, so the cufflinks served a dual-purpose. They reminded us both of the city where our relationship got its start and brought a little of our adopted home to the Midwest for wedding day. 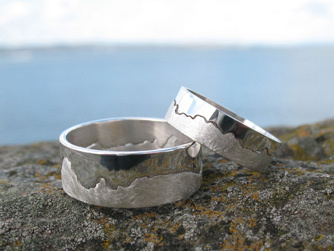 There are tons of creative geographical cufflinks on Etsy. How about cufflinks featuring a photo of his favorite stadium from whitetruffle? 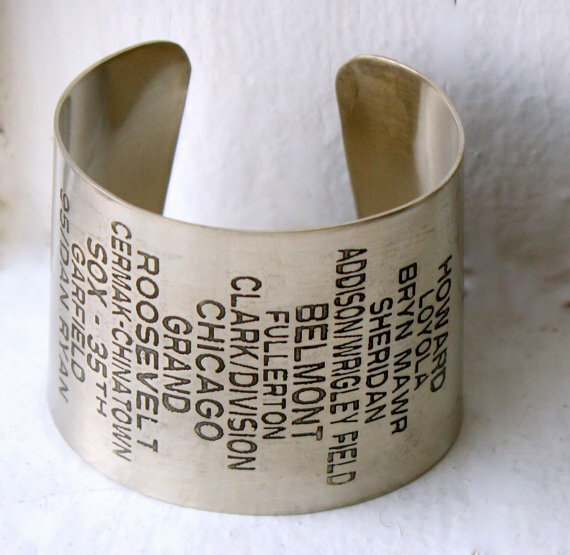 Or cufflinks made from the bleachers at his alma matter from BerkleyMade? Or he could show his hometown pride with transit tokens from Subway Cufflinks. 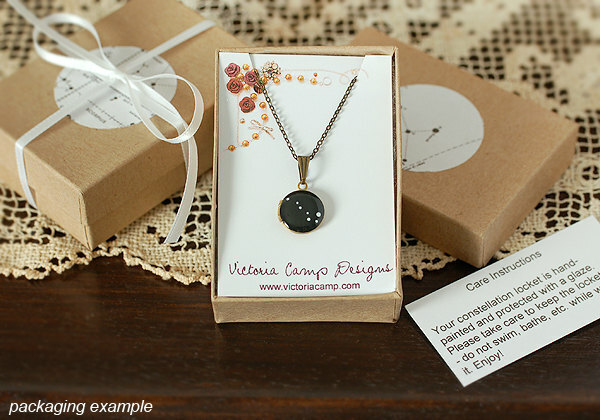 I’m confident that whatever option you choose, you can’t go wrong with a gift that represents a place close to his heart. Happy gifting! A beautiful ode to New York. Spruce up your home with some fresh cut flowers. Awesome tips for arranging flowers at home. Fun DIY Confetti Throwers. What a cool idea for a wedding or party! Slate and the universal injustice that is reclining airplane seats. Such a pretty roundup of blue and white china. Bookcase hidden passageways at Bookriot, I would kill to have one of these in my home. Yum! 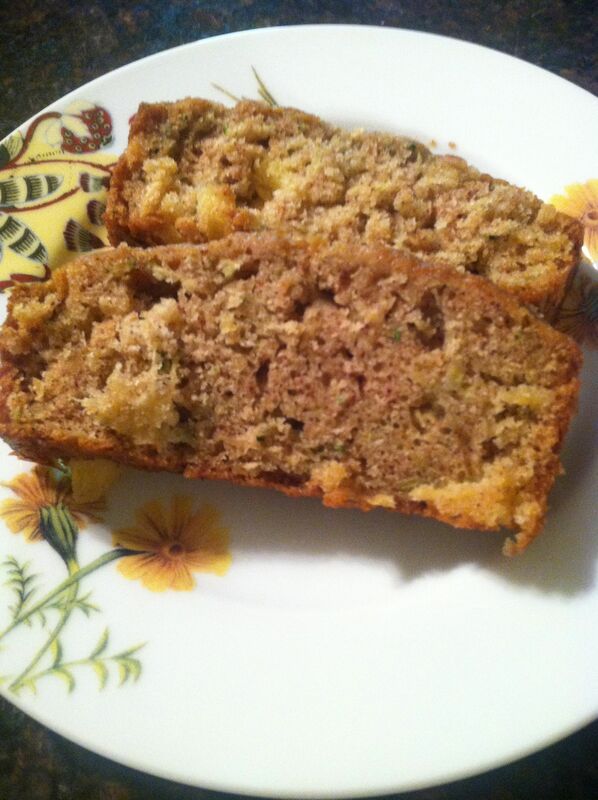 Banana Bars with Browned Butter Icing from Bake or Break. For the crazy cat people – Round up of cats that just can’t handle it. 26 would TOTALLY happen at ColeyDi’s. 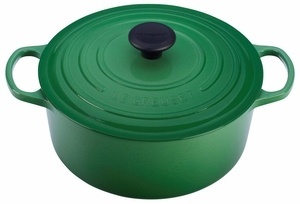 One of the first presents my husband gave me when we were dating was this deep green Le Creuset dutch oven. I was still fairly new to the kitchen and it was my first truly beautiful piece of cookware. It’s still amazing years later. Little did Andrew know, he was starting an obsession. I love colorful kitchen toys. I can’t get enough. 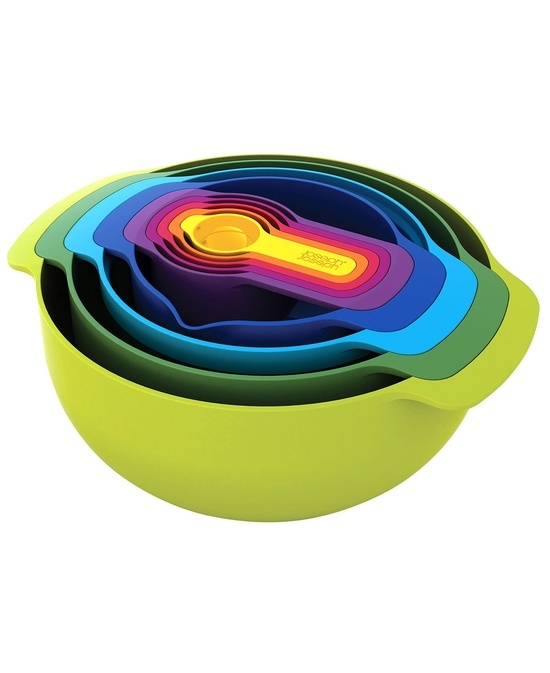 Appliances, serving platters, pots and pans, mixing bowls, spatulas, I believe everything is more fun in a vibrant shade. Here are a few beauties I would have in my dream kitchen. 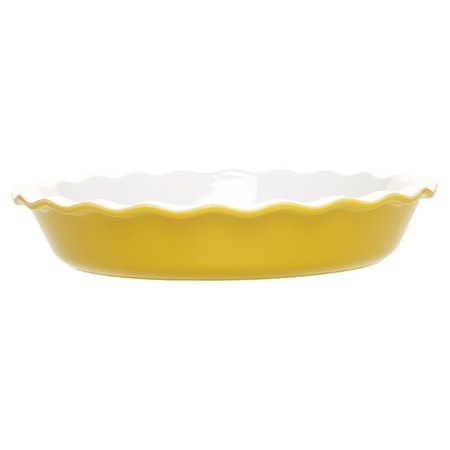 Mix up something delightful in these Joseph Joeseph mixing bowls. I think the measuring cups are the perfect added bonus. 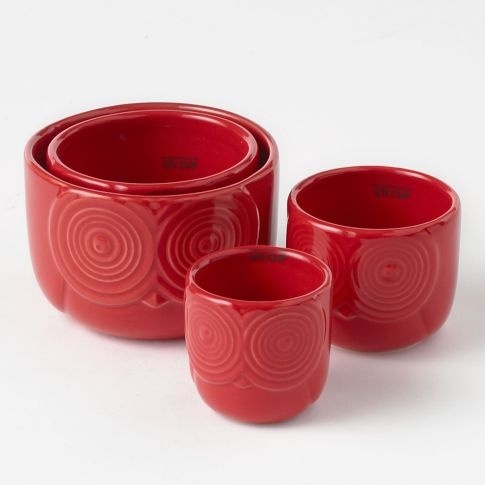 Add a little silliness to your prep time with these red owl measuring bowls from West Elm. I don’t think you can ever have enough mini prep bowls. They are perfect for measuring and corralling chopped ingredients. 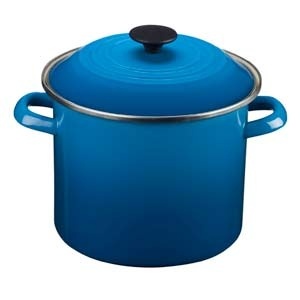 Making soup in this blue Le Creuset stockpot would brighten up any winter day. We host an annual soups party every December and I’m always keeping an eye out for pots big enough to handle a double batch – they allow me to cook for a crowd without messy boil-overs. 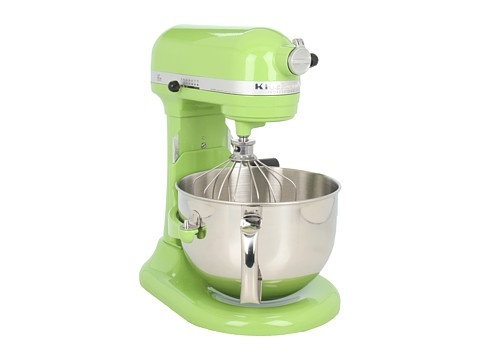 I have a forest green Kitchen Aid and there is no reason for me to purchase another, but I am completely obsessed with this lime green professional grade mixer. This is one small appliance I would be proud to have on my countertop. 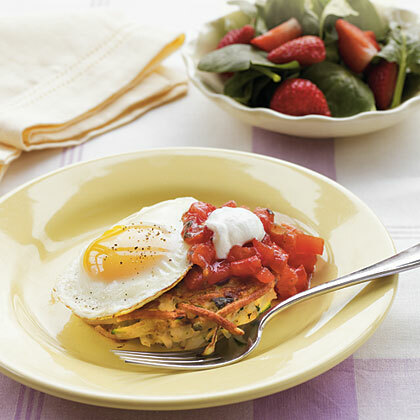 Go from oven to table with this sunny little pie dish. Who knew you could make dessert even more fun? 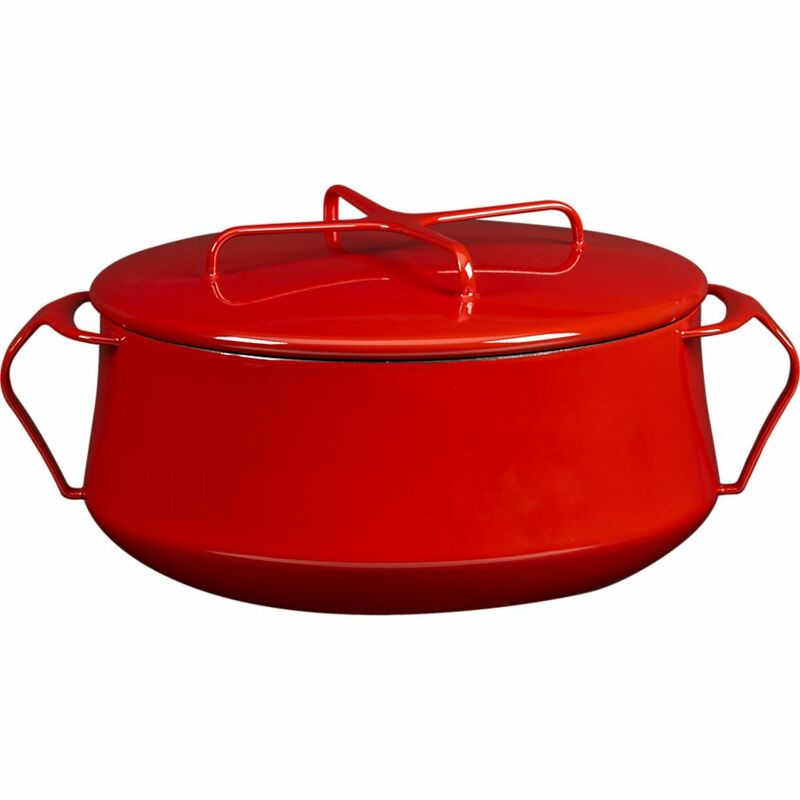 Serve up your tater tot hot dish in this gorgeous red casserole from Crate & Barrel. If you insist, it would work just a well for something a little less Midwestern. Wouldn’t these brighten up your kitchen? Which are your favorites? 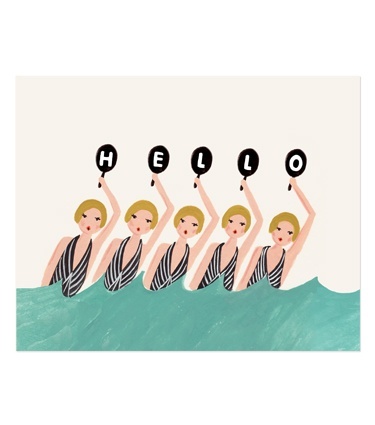 How darling is this synchronized swimming print from Rifle Paper Co.? I first discovered Rifle when I received one of their adorable personalized wedding invitations from a friend. I love how playful and unapologetically sweet their designs are. Truthfully, I would purchase just about anything in their store, but this print is my absolute favorite. I was a synchronized swimmer in high school, a fact that I’ve received more than a little grief for. Despite the teasing, I whole-heartedly defend synchro. How can you not love a sport that combines strength, flexibility, and most importantly sequins? I can’t wait to hang this silly reminder of my high-school “glory days” on my wall. I love a pair of sky high heels. I covet fancy flats. But I work from home and most days I live in my comfy clothes. Still, just because I’m clad in stretchy leggings and a hoodie doesn’t mean I can’t accessorize. These lovely slippers are the perfect compliment to my work day uniform. Cozy, warm and adorable. My pair is bright purple, but they come in a variety of colors including several neutrals if you’re looking for something a little less ridiculous. P.S. 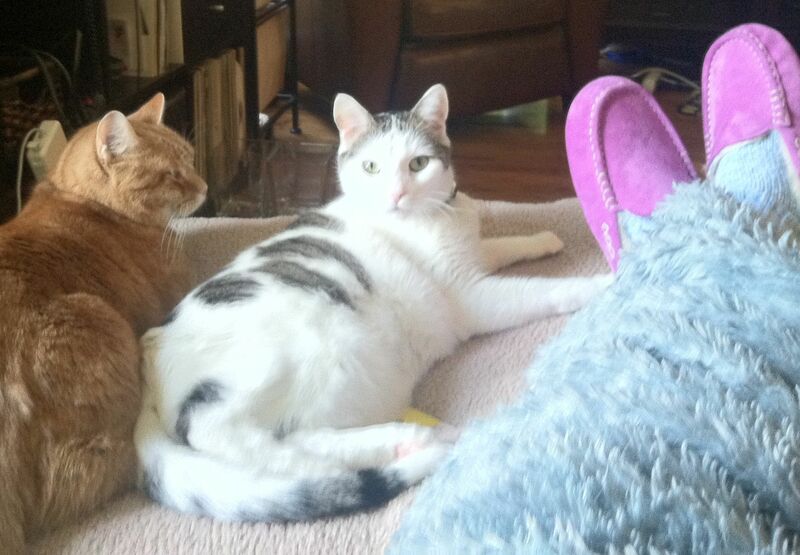 The kitties also adore my slippers.